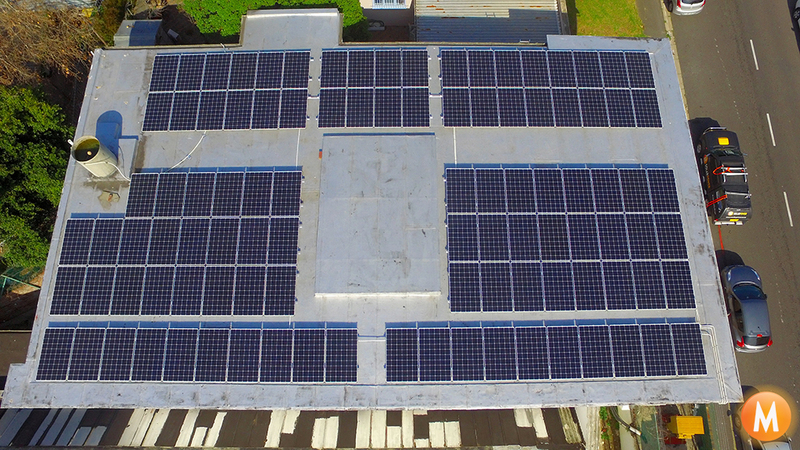 M Solar Power is pleased to have completed a 36kW Percium (PERC) Mono solar panel installation at Imagemakers in Cape Town. PERC solar cells have a passivated back side with improved internal reflectivity reflecting the light back through the solar cell which translates to a much higher energy harvest in real world conditions. In addition, the 4 bus bar (4BB design) of the solar cell reduces cell series resistance and stress between cell connection lines and improves the reliability and the efficiency of modules. Passivated Emitter Rear Cell technology (PERC) includes an added dielectric passivation layer in the solar cell that keeps the difference in charge between the top and bottom of the cell as high as possible. This allows the flow of electrons to be steadier and more consistent. PERC technology reflects less light and has higher internal reflection than standard cells, further contributing to increased efficiency allowing us to offer our clients the lowest levelized of energy in the industry.